Canada foreign investment dries up - for the first three quarters of 2013 (jan-sept) FDI into Canada down 90% to only $2 billion (vs $27b 9M2012). some say it's a good thing foreign companies aren't taking over Canadian ones but the reality is Canadian companies can't grow without foreign money - Seabridge Gold inability to get massive mine constructed (despite the extreme low cost of production they would have). Canada's weakness is that domestic investors (+ funds) focused too much on earnings not capital gains. One way to fix this is for companies to change the way they issue convertible debentures. Canada-EU trade deal increases export quota for Canadian beef 7-fold to 70th t ($600m/yr) -> cattle farmers earn more money per kg -Europe premium beef market. Sept 2013 - AltaGas acquires 25% of PetroGas in smart move. PetroGas owns rail, train networks. has 4m barrel oil/gas storage capacity. 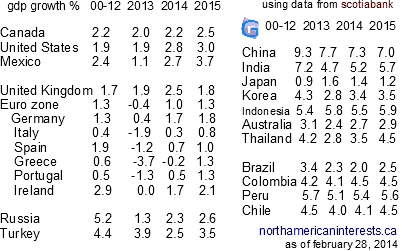 GDP Growth IMF August update - developing economies growing more slowly avg now 5% 2013, 5.5% 2014. Invest in Ethiopia, Africa. 91 million people with gdp growth rate of 8.5%, economic size only $40b same as Kenya (44m). Most stable companies to buy : Silver Wheaton - silver streaming company means it's not exposed to production uncertainties and other costs, contracts give it 25m ounces of silver a year for $4 an ounce. Goldcorp - stock up 150% last decade. Best investment is physical gold - company performance can be erratic due to issuance of too much equity. Detour Gold - owns 100% of 1 of Canada's largest gold mines (15-20m oz). In 3q2013 it reported first quarterly production of 75,000 ounces, the mine eventually will produce at a rate of 650th oz per year for 20 years. Japan M&A down : 1H2013 the value of takeovers by Japanese companies lowest in nine years. Grocery war now on in Canada - June 12 Sobeys buys 4th largest player increasing share of total food market from 18% to 25% (29% to 39% in supermarkets). Loblaws responds by buying Shoppers Drug Mart an acquisition that doesn't do much for food sales (under $1b a year) but improves margins by giving it 125m prescriptions or 25% of the national pharmacy market. US Real Estate Market - mortgage rates to rise at record pace ? If so, how will the banks adjust when home owners stop refinancing their mortgage due to rates being too high. Key Factors: August 2011 South Korea added to its gold reserves for first time in 13 years (882,000 ounces). Key Factoid: central banks don't buy silver or platinum ! they only buy gold. Largest silver producer is Kghm Polska - In 1H2013 silver ouput down 16.8% or -3.86m ounces to 19m ounces. In the 20 years leading up to 2010, central banks were net sellers of gold but that changed dramatically since with even Greece and Thailand adding to their reserves. In fact UBS recently polled the central banks and found that 22% of them consider gold the most important reserve asset for the next 25 years. About 1/10th of reserves are held in gold however there's a disparity between developed (50%) and emerging (1-3%) economies. In 2012 the increase in gold added to central banks eclipsed the rise in demand from jewelry and bullion. Did You Know? Sixtyfour percent of Ron Paul's investments are in mining stocks and 5% of the total is in Canadian based juniors. Did You Know? COMEX owes futures and futures options investors $80b in silver but they only have $2.7b in deliverables. Did you Know? Royal Gold gets 24% of its revenue from a mine that only produced 13,070 oz gold in 2q2012. more on Royal Gold. Did you know? Caisse de depot et placement du Quebec is the largest shareholder of Enbridge. Did you know? In April, Ford sold 8,481 hybrid vehicles, leading the industry. For 2013 Ford is on track to break its own annual sales record for hybrids set at 35,496 (2010 US sales). Did you know? In 2011 the Federal Reserve shredded 4.8 billion worn out banknotes ! before being recycled as souvenirs or fuel. more.. the Fed building in NYC holds 25% of the world's gold, that's 15 million pounds worth $315 billion. Did you know? As of January 2013 Canada's central bank gold reserves total just 3.4t, ranking #84 overall. Other major gold producers ranking low on the list - Peru #52 34.7t, Ghana #68 8.7t. Walmart same-store sales fell for 9 straight quarters before a 1.3% increase in the three months ended October 2011. Goldman Sachs expects the price of oil to reach $140. Global oil and gas mergers, acquistions valued at $321B +7.0% in 2012 despite fewer deals 698 to 576. In Canada it was $51.9b (from $15.2b), Europe 179 deals worth $29.3b (from 189 deals worth $24.1b). US oil and gas mergers, acquisitions valued at $186.5B +35% in 2011. US oil prices +19% in 2011 at $95.12. Iranian oil is Europe's 8th largest source of imports 4.39%. Galaxy device marker Samsung to sell 290 million smartphones in 2013 up 75 million. For 3Q2013 Samsung revenue up +13% to $55b (oper.inc +25% to $9.4b) but no all was rosy - sales of newest model Galaxy S4 plunged (consumers didn't like the high price ; relied on sales of cheap models) - more proof BlackBerry's recent problem of unsold z10 phones wasn't the device but the selling price - BlackBerry needn't be concerned anymore - next quarter will include sales of new cheaper devices, the q5. In 4Q2012 Samsung sold 500 phones per minute twice the rate of iphone to profit $8.3 billion up 89%. Unlike Apple and Rim Samsung doesn't own the operating system that runs its phones. Could that become a problem ? Apple's $13B in 4Q 2011 profit was an industry record. In fact it was more than google made in revenue during the quarter ($10.584B). That's even with google's Android platform reducing iPad's share of the tablet market to 60% in 2011 and Android taking a 48% share of the smartphone market globally compared to 30% for iOS. So google may be getting more sales evidenced by the $865 million quarter to quarter increase in revenue in the last quarter of 2011 but it's still not helping earnings which fell $23 million in the same quarter. Apple sold smartphones at a rate of 285 per minute in December; Total was 15.43 million in the last quarter which exceeds the entire 2010 fiscal year of 14.8 million. In 2011 45 high tech companies held IPO's raising an average of $85 million. Average of 8 years from founding to initial public offering. Total venture capital raised through offerings - $5.1 billion up 54.5% from $3.3B. Boost came from Groupon, Zynga. Manufacturing growth in China slowed in December 2011 for the second month in a row, according to HSBC's purchasing manager's index. Below 50 denotes contraction, in December it was 48.7 compared to 47.7 in November so the contraction was a bit smaller than it was in November. In November China lowered the reserves banks are required to have on hand to cover their own obligations for the first time in three years. These effects can be considered a consequence of deflation combined with slower economic growth. At the time, China's repurchase rate was at a five month high of 5.6% - repurchase rate is the rate at which the central bank lends short term money to the banks against securities. more.. when the rate moves higher, borrowing from the central bank becomes increasingly expensive. The commodities market is entering a consolidation and deflationary period caused by the new US debt ceiling cap for 2013, dollar rally as well as gold and silver's post 2008 rally. The gold to silver ratio is nearing 60 which represents a doubling since 2011/2012. Central banks continue to buy with Russia, Turkey, Mexico and Kazahkstan adding over 250 tonnes between them in 2012/2013. Poor debt sale showings in Italy, Germany and Spain mean debt may literally be insurmountable for a number of key countries including the U.S., Japan, Italy which are the three leading bond markets; they all have debt problems in fact according to Barclay's Italy is "mathematically beyond the point of no return", Italy's bond yields have surpassed the critical 7% mark. That will lead to greater central bank buying. In September, JP Morgan forecast palladium at an average spot price of $938/oz for 2013, that's nearly 50% higher than palladium's price in October 2011 ($610/oz); JP Morgan also forecast oil at $121/bbl (output 91M bbls/d in 2013). Research In Motion apps world has around 40,000 apps, or about 6X less than Android. North America's biggest gold deposit (Kerr Sulphurets Mitchell Iron Cap + Snowfield) has nearly 65 million ounces of proven-probable gold reserves. The 2 companies controlling the entire deposit, combined, have a market value of only $1.9 billion!! the deposit also has significant silver, copper and molybdenum reserves. MEG Energy is only valued at around $10B by the market but has oil reserves comparable to companies valued 5-6 times higher!! In 2011 between April and August 2 acquisitions by Aurico raised reserves by over 100% after it spent more than $1.9 billion on takeovers (Capital Gold, Northgate Minerals), 87% more than its own market cap in 2010. Companies with an unusually high beta value: Hecla Mining, Stillwater Mining, Research In Motion. Real Estate Investment Recovery: North Americans bought €4.95 billion worth of real estate in central London during the 12 months leading up to June 2011 which is up significantly from 2009 (€1.56B) and 2008 (€173M) but still down from 2006/2007 (€5.6B). In 1h11 Greater London received €5.1B or 39% of North American commercial real estate investment in Europe (North Americans account for 55% of non European investment). Gold: If, as many suggest, the People's Republic of China lets the RMB increase in value relative to the USD, that will weaken demand for gold in the short term as investors see the new exchange rate as a sign of economic stability but in the long run, the stronger RMB will increase Chinese demand for Gold due to its greater purchasing power. Also, a stronger RMB will raise Chinese import demand, indirectly increasing Gold demand from abroad too. October 1, 2011: 737,000 ounces of silver sold by the US Mint in a single day breaking the previous record. In fact that day's purchases represented 42% of all the silver purchased during the month of December 2010. It brought the year to date sales up to 32.9 million ounces. Molybdenum: Over half of demand comes from steelmakers producing molybdenum grade steel/iron alloys. Only about 15% of it is used in chemicals (last graph below shows the breakdown). In chemistry some of its advantages are: low toxicity, popular compounds requiring its high oxidation states. It easily binds sulfur ligands (organic & inorganic) and is a versatile industrial catalyst (catalyst demand comes mostly from the petroleum/petrochemical industry which values its ability to react with/bind sulfur thereby reducing the sulfur content of petro products (important since low sulfur content petroleum is becoming harder to come by). Images in order: 1 year gold/silver ratio, 4 year gold/platinum ratio. Something to keep in mind: In 2009 when precious metal prices took a nose dive, gold was the only one with an ISO currency code to record positive growth on the year. 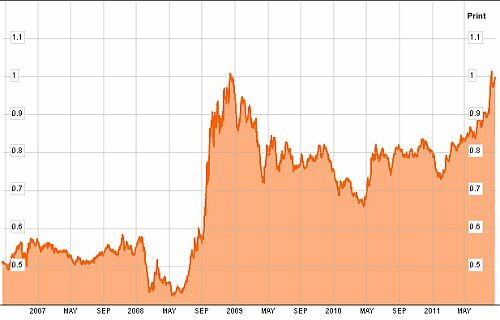 (Rhodium fell from a high of $10,000 in October 2008 to an average of $1,500 in 2009). Some applications of rhodium: used to make nitric acid (used most notably in gold testing), plating of mirrors (very reflective). Canada buys into US real estate - 2009 - 2013 Canadians purchased $27 billion more of US real estate than Americans ! 1-year to August 2013 Canada to US real estate investment : Public Companies: $4.6b, Institutional: $2.3, Private companies: $1.3b. By concept: office space $4.2b, apartment $2.8b, industrial $2.1b. companies: HR Reit, Ivanhoe Cambridge. Canadian dollar headed below 75c US - Less Concerns about U.S. debt, Canada's economic activity down, commodity prices are lower, bond yield spreads going down. 3q13 Samsung G4 phone sales plummet due to price, revenue grew on account of cheap phones. Jan 20, 2014: BlackBerry shares surge in response to news the Pentagon will begin hooking up 80,000 BB smartphones to the department's management system. Only a few months ago the German government curbs the iPhone in favor of BlackBerry 10. 2015 March: Ford snubs Microsoft in favor of BlackBerry QNX in auto infotainment. April 2014: Osisko spurns Goldcorp; accepts $3.9b takeover bid from Yamana, Agnico. Every portfolio should have a strong foundation and I think that energy stocks specifically those with a lot of commodity price exposure (etf's, oil, gold, silver, palladium stocks) are a great place to start (gold companies, for the most part have wide profit margins, making them attractive to all types of investors). 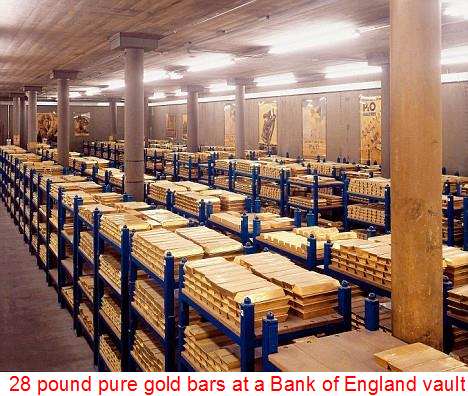 Bullion in 2015 - Hedge funds & speculators are short, Banks are long (for the first time in a long time) and physical metal is running out in vaults worldwide - the price can only be headed up from here. The summer of 2016 represents a historic buying opportunity. 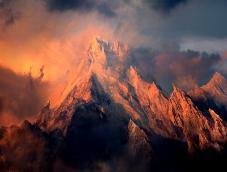 During the summertime volumes are down for gold futures and options trading which bodes well for investors. DYK ? in 1900's when USA used silver as money, 20 silver $$ = 20 dollar gold ? gold:silver ratio assumed to be 20:1. In 1980 a house cost 800 ounces of silver. Today > 8000 ! Willowglen Systems Inc of Edmonton designs and manufactures Automated Industrial Control systems for Bombardier, Cnooc. Has 10 year history in China. Oil Sands Companies To Buy - Imperial Oil ($11b kearl sands project), Cenovus Energy (total resource 120 billion boe, oil projects Narrows Lake, Foster Creek, Christina Lake to double production by 2018 110th -> 230th boe/d). growth stocks - Timmins Gold tsx:tmm 3-month gold prod +20% 28th oz, silver sales +12% 16th oz. Seabridge Gold reserves 44.7m July bulls - auto (GM) autoparts (Magna, Johnson Controls). Airlines - Air Canada - revenue per passenger up (from additional charges for meals, pillows), costs down, more international business from Europe, Asia, 1-year to Oct '17 +250%. WestJet +41%. 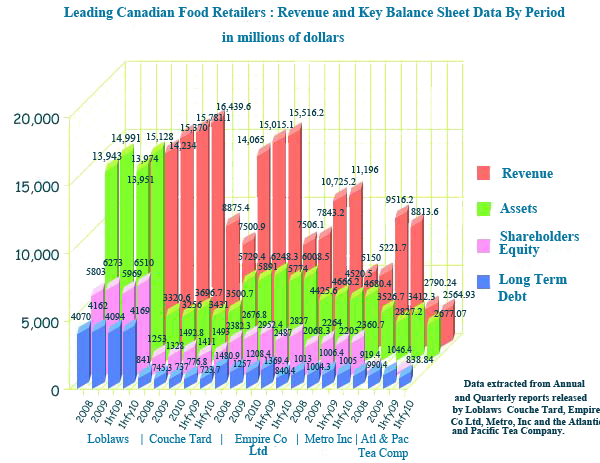 Largest silver producer Kghm Polska 2013 6-month production down -109.5t or 3.86m ounces. more on silver production. Cenovus Energy : Integrated oil company ie earnings are affected by fluctuations in crack spread ratio (-3% 3q13). 3% dividend yield, avg valuation but high quality assets. Oct 2013 - Cineplex Odeon completes takeover of Empire Theatres. Will boost revenue by ~20%. Cineplex stock CGX 1-mo +9%, 6-mo +24%. 2000-2008, China's exports grew 474%, imports 403% thanks to WTO membership, higher value production. Last two decades, Australia (2005), South Korea, Zambia, Chile more reliant on China for trade. 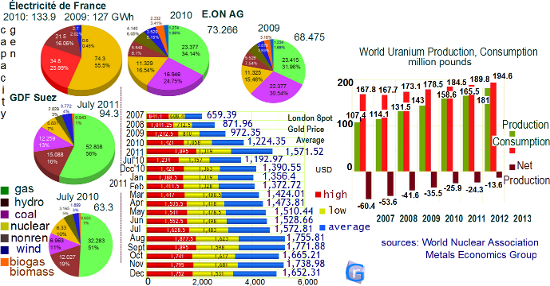 China 2013 gold production 440t +63% vs 2007. China consumes 4 tonnes per day !